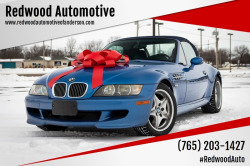 Here's a great deal on a 2000 BMW M! It sets the benchmark among modern luxury sports cars. 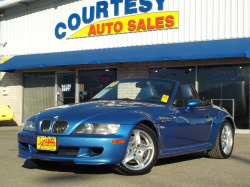 This 2 door, 2 passenger convertible still has less than 80,000 miles! 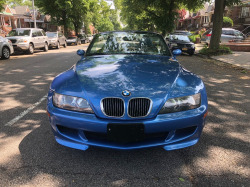 BMW prioritized handling and performance with features such as: power front seats, air conditioning, and 1-touch window functionality. 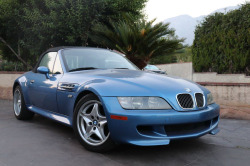 BMW made sure to keep road-handling and sportiness at the top of it's priority list. Under the hood you'll find a 6 cylinder engine with more than 230 horsepower, providing a smooth and predictable driving experience. No photos yet, but the VIN shows estoril blue over estoril blue. 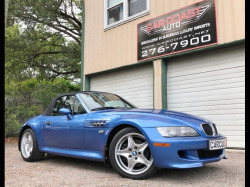 CarGurus shows it has had just one owner.